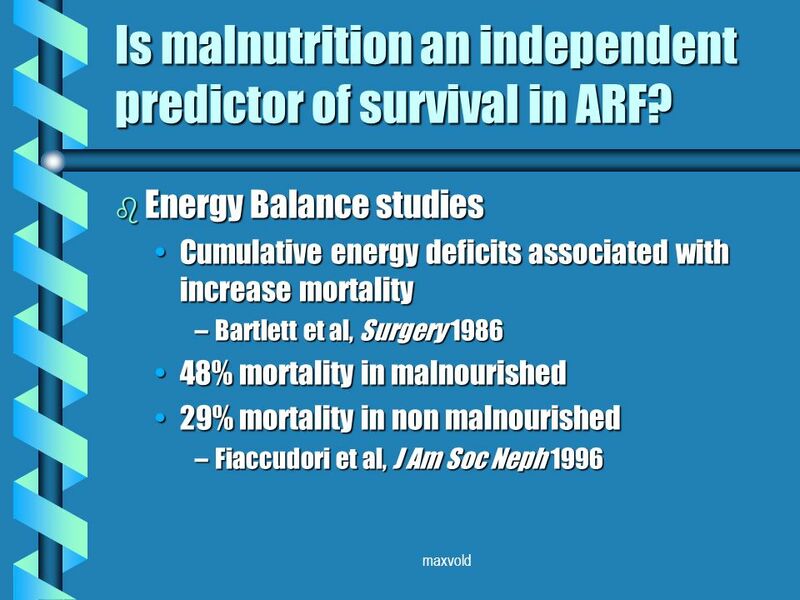 4 maxvold b Energy Balance studies Cumulative energy deficits associated with increase mortalityCumulative energy deficits associated with increase mortality –Bartlett et al, Surgery 1986 48% mortality in malnourished48% mortality in malnourished 29% mortality in non malnourished29% mortality in non malnourished –Fiaccudori et al, J Am Soc Neph 1996 Is malnutrition an independent predictor of survival in ARF? 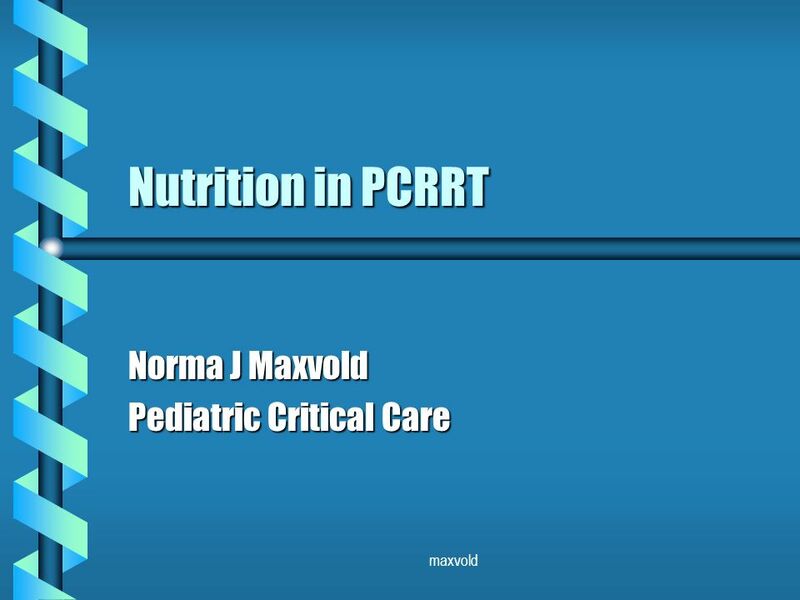 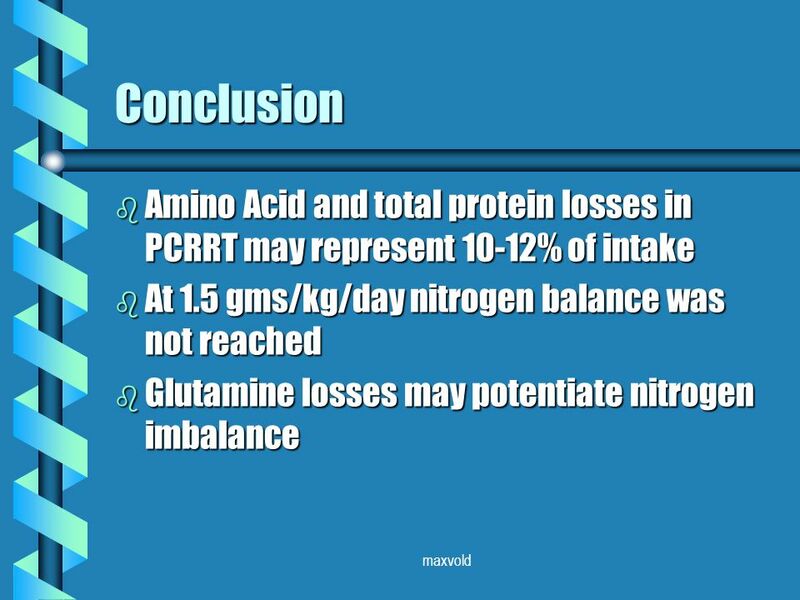 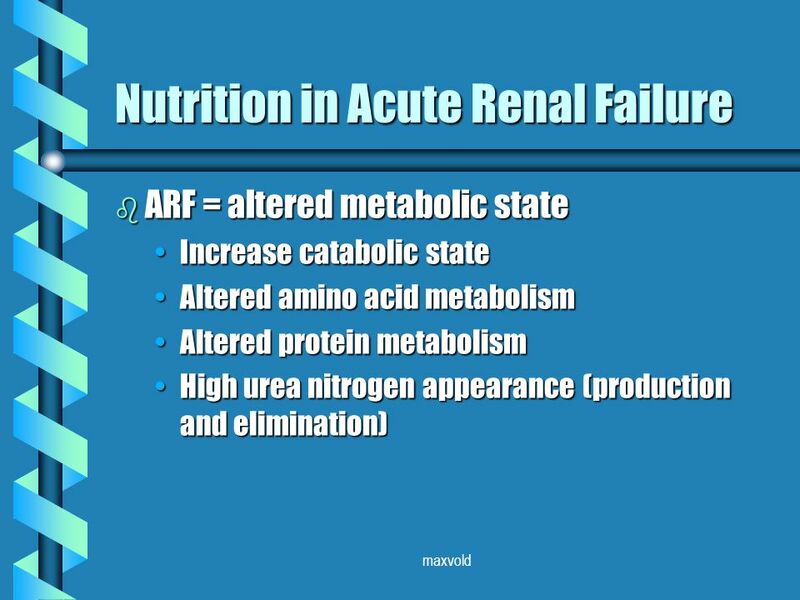 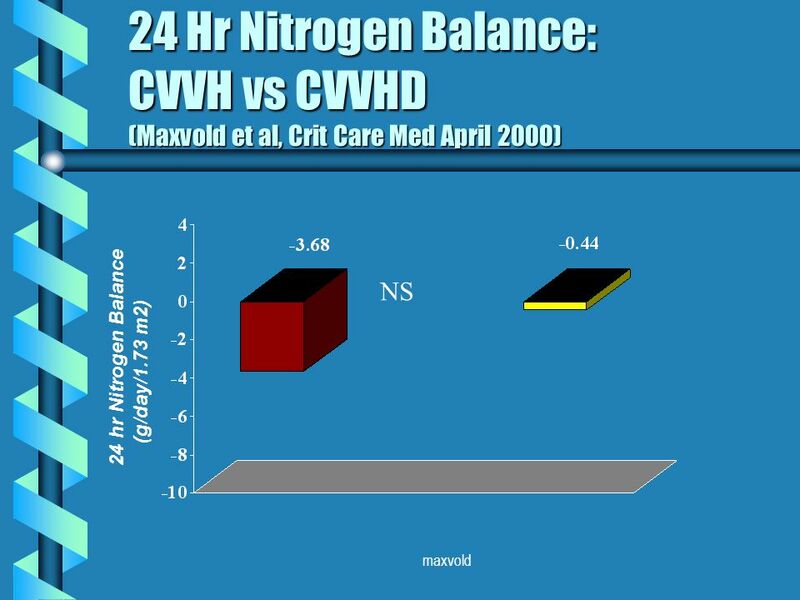 Download ppt "Maxvold Nutrition in PCRRT Norma J Maxvold Pediatric Critical Care." 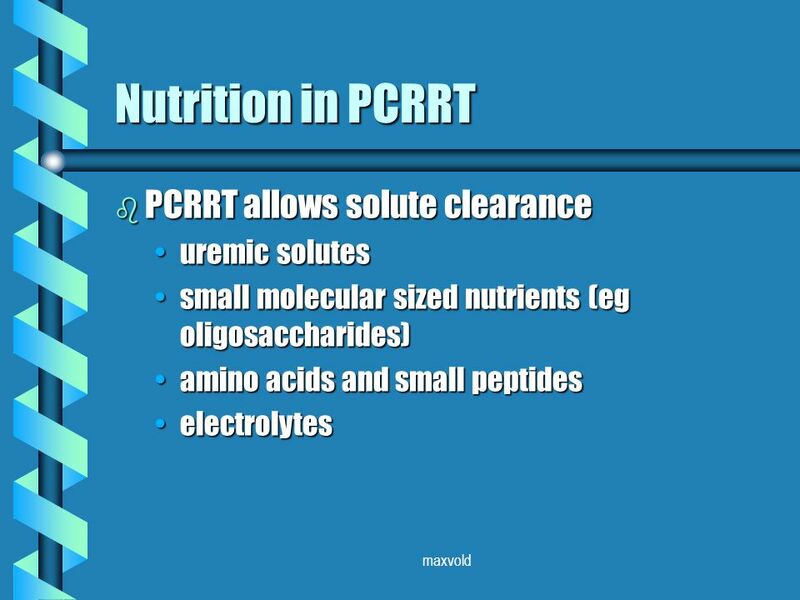 Access for PCRRT Timothy E. Bunchman Professor Pediatrics. 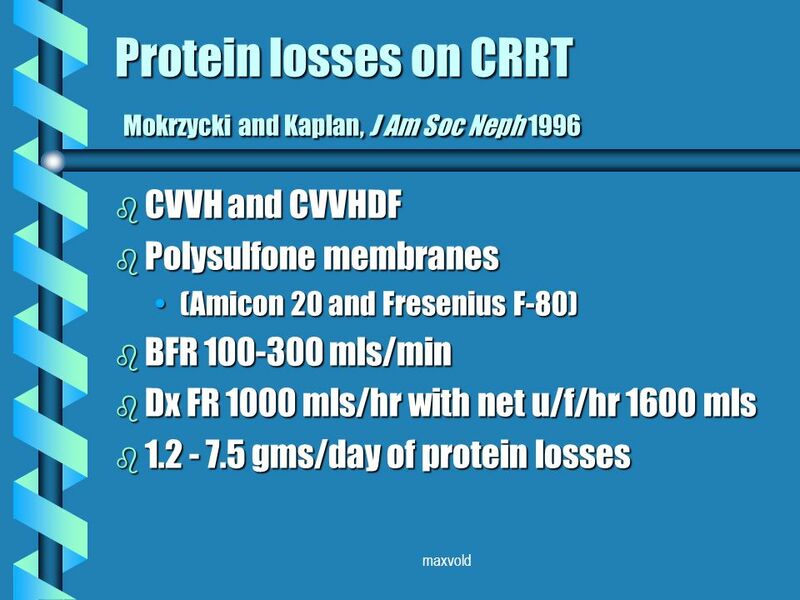 Pediatric CRRT: Ultrafiltration Control William E. Smoyer, M.D. 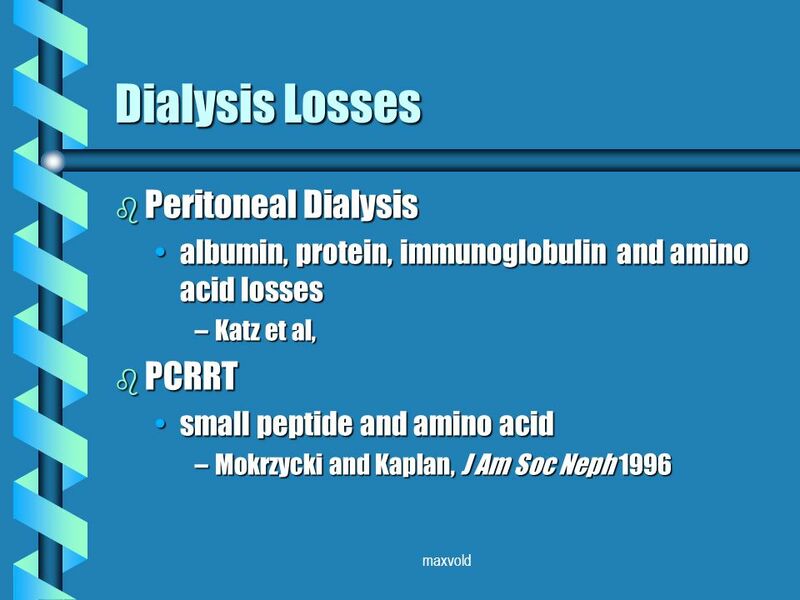 Pediatric Nephrology University of Michigan. 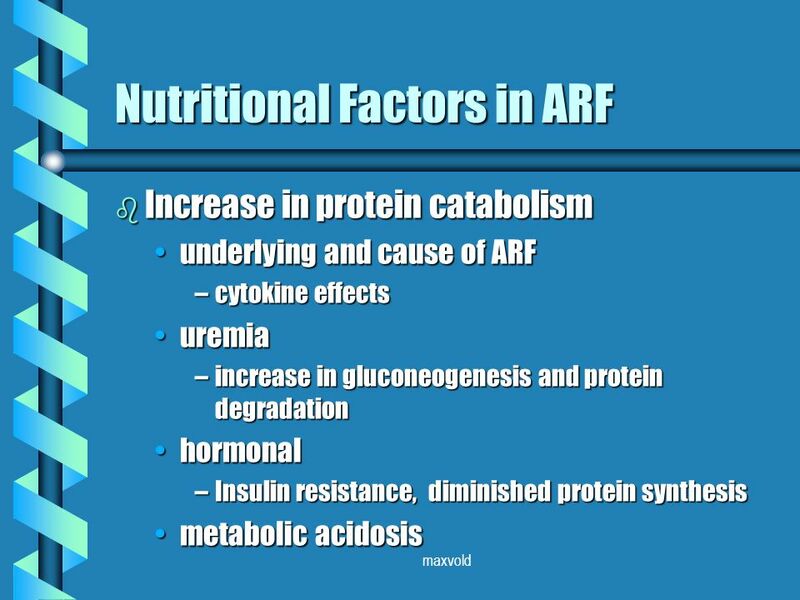 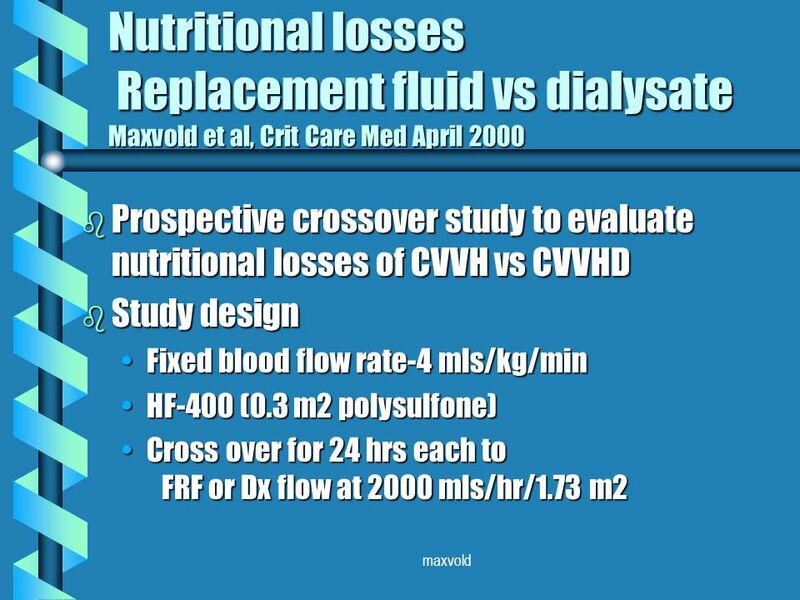 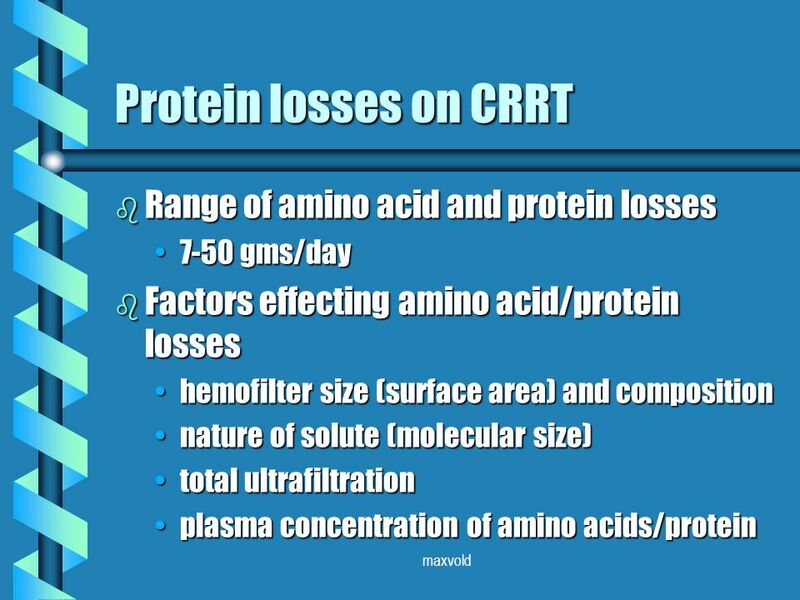 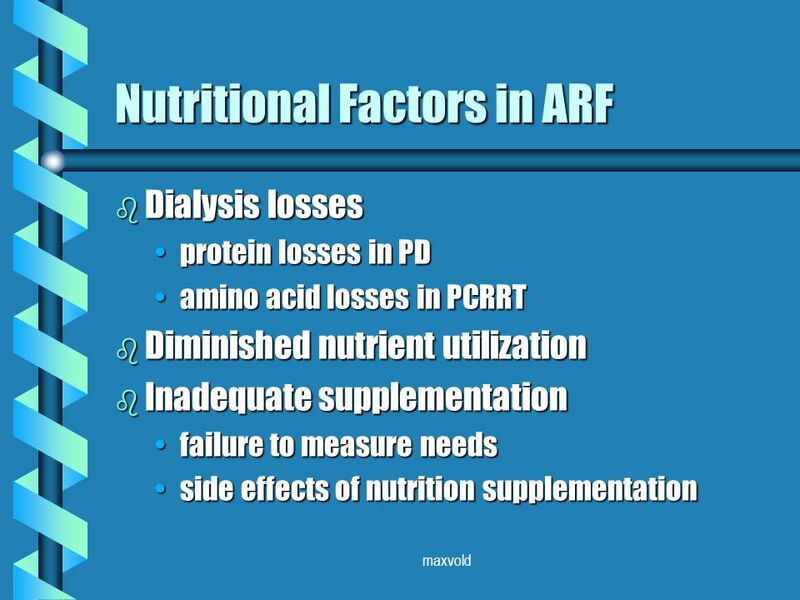 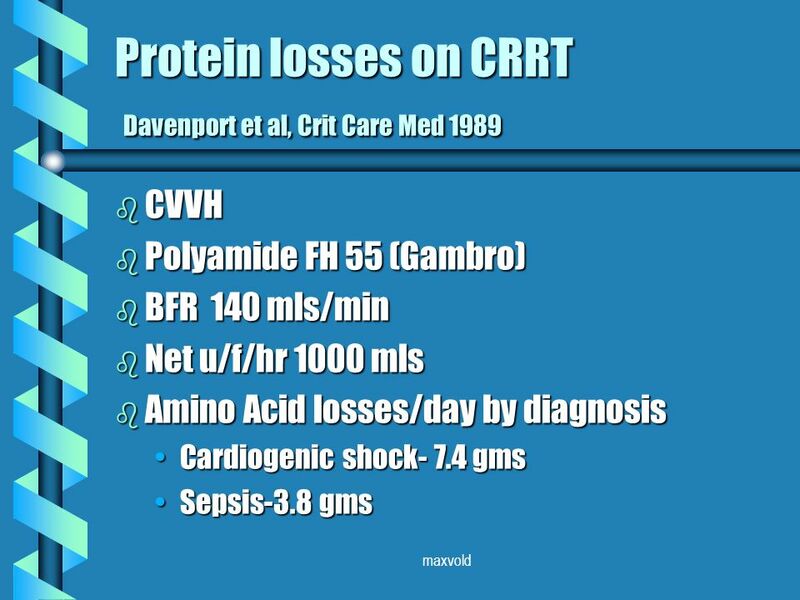 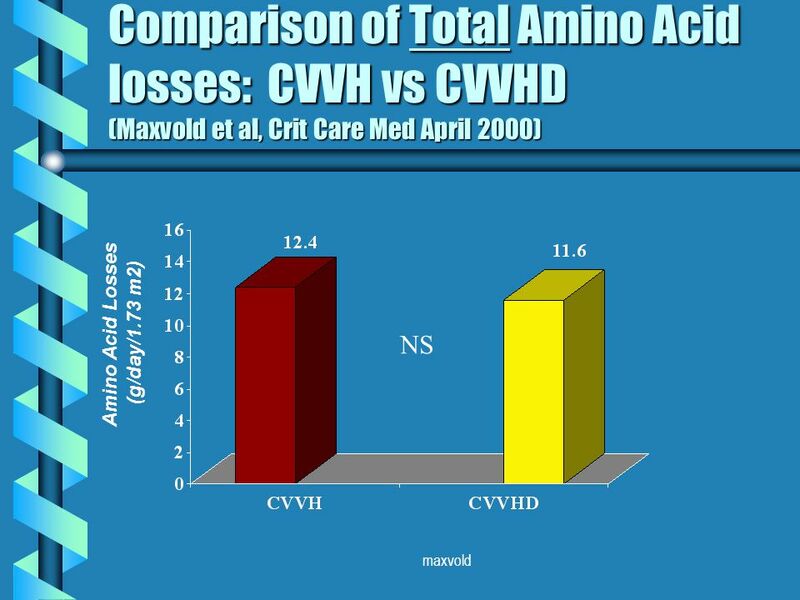 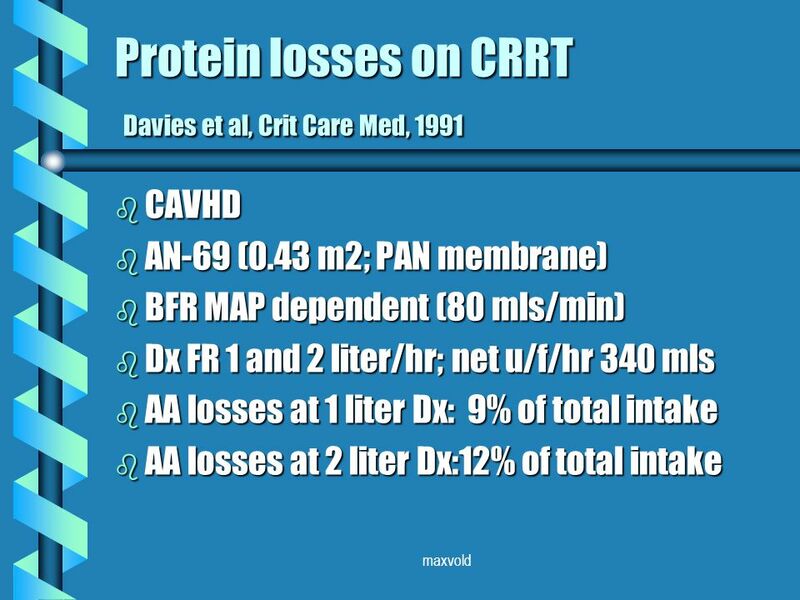 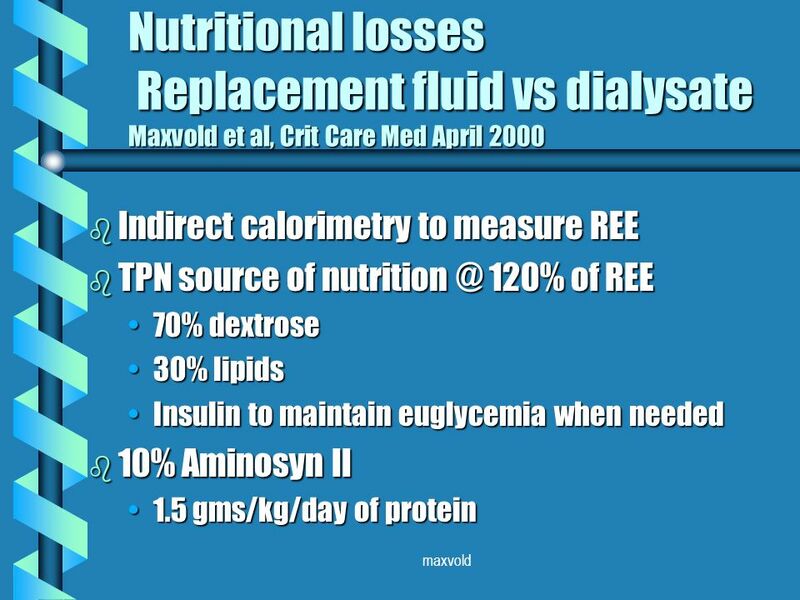 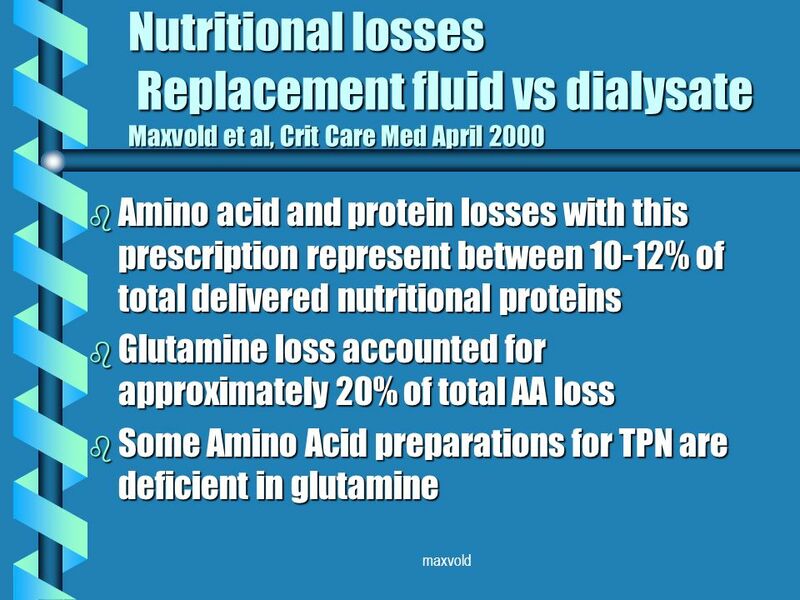 Nutrition in CRRT Do the losses exceed the delivery?